The very first episode of Game of Thrones season 8 began with the arrival of Jon Snow, Daenerys Targaryen, and the rest of the Dothraki in the Winterfell. We saw how Arya Stark was pretty much excited to see her brother, riding a horse but couldn't muster the courage to shout his name. As we saw in the previous trailers, the North is not too open to welcome a Southern into their home, let alone call her their queen but Jon Snow stays firm on his grounds and tells everyone that Dany is the best ally they can hope for in this hour. Jon Snow goes to see the Old Gods and finds Arya Stark sneaking behind him. As I told you earlier, their reunion after all these years would surely bring tears to your eyes. What was more interesting was the fact that these two talked about the swords they both had? Arya is still using the Needle which Jon gave him and when he asked her, as an elder brother, how many times she has used it, she replied slyly, "Once or twice." The change in Jon's eyes makes it clear that he feels sad for Arya losing her innocence. We also got to see Tyrion Lannister and Sansa Stark speaking with each other. The last we saw them on the same screen was the day when Joffrey Baratheon died and Sansa chose to run away from the King's Landing. Tyrion and Sansa have a mutual admiration for each other but when Tyrion informs her hat Cersei is indeed sending her army to fight alongside the Starks, Sansa simply says that she used to think that Tyrion was the cleverest man alive. Meanwhile, in the King's Landing, we see Euron Greyjoy bringing the Golden Company and finally manages to sleep with Cersei Lannister. Their intimate affair was not shown but from their talks, it looks like things might have gone a little intense for them. However, when Euron puts his hands on Cersei and tells her that he is going to "put a baby in her belly," Cersei's face and her cold look revealed everything that the only reason she has slept with him was to take the revenge. Back in the North, we see how Daenerys' dragons have stopped eating and to make them comfortable, Jon and She goes to meet them. It was for the very first time in the Game of Thrones when we saw Jon riding a dragon and he rode him beautifully. A small warning, if you have vertigo, then few of the sequences will make you curl up on your bed. Jon Snow and Daenerys Targaryen go to this beautiful looking waterfall where they kiss each other passionately. But before getting intimate, Daenerys tells Jon that they should hide here, behind the waterfall, forever. It must be pretty hard for Jon because not too long ago, something similar was told to him by Ygritte, his former partner. Back on the Wall, the Brotherhood army and the Night's brothers find a horrifyingly cryptic message by the Night King. A half-dead boy in the wall and hundreds of hands and other body parts are encircled around him. He has been turned into a White Walker and only the fire can end his terror. The most amazing thing about Game of Thrones happened when Daenerys tells Samwell Tarly about his father and his brother and how she has executed them for not kneeling in front of him. Sam does not take this well and runs away from the study room. 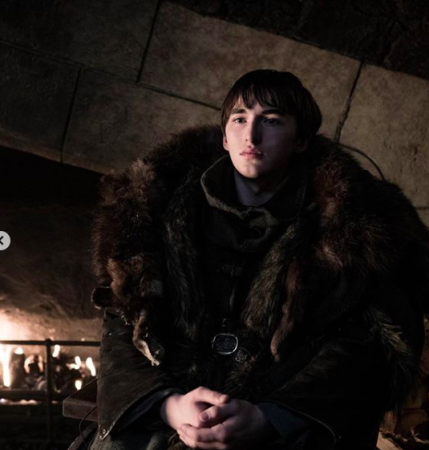 He is then greeted by Bran Stark who is sitting by the gate and tells him that he is waiting for an old friend to come. Bran tells Sam that it should be him who will inform Jon Snow about his true parentage. We all know that Jon's real name is Aegon Targaryen and he is the true heir to Iron Throne. 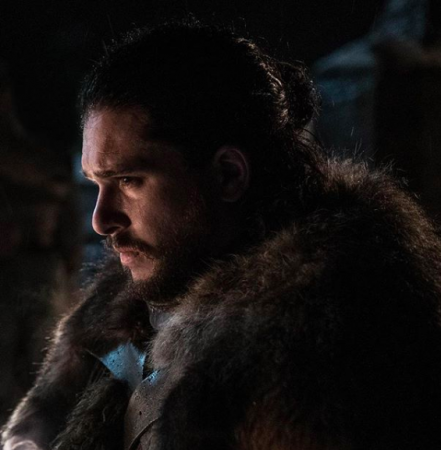 Samwell finds Jon in the Winterfell's crypts where he is lighting the candles for the dead. Sam starts the conversation by first telling him about how Daenerys executed his father and his brother. He then informs him about his true parentage and tells him that he is the true heir. In the last scene, we see Jaime Lannister finally coming to the Winterfell and finds Bran Stark waiting on a wheelchair to greet him. 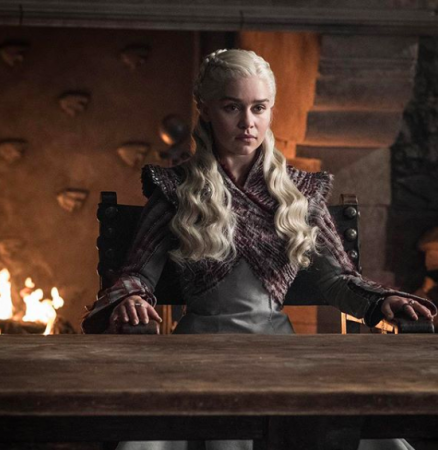 Game of Thrones season 8 episode 2 will air next Sunday on HBO.